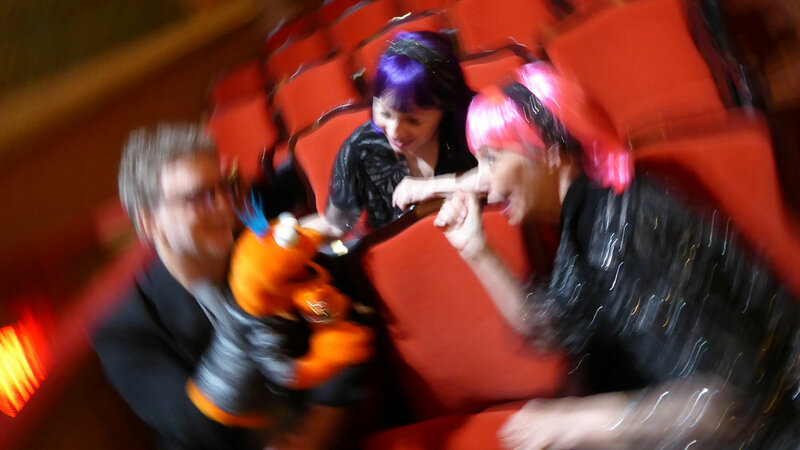 Music, comedy, and crisis in a puppet show for grownups. "Witty. Funny. Unexpected. Warm. (Or should I say 'fuzzy'?)" "I didn't expect to be so moved by a puppet!" Danny O’Hare, an energetic singer with a deep love of the lounge classics, is headed to the Edinburgh Festival Fringe this summer. Danny is also a puppet in heavy denial of his puppet-ness (puppet-ude? puppet-osity?) When Danny is forced to face his true nature in the middle of the show, he handles it poorly—and hilariously. 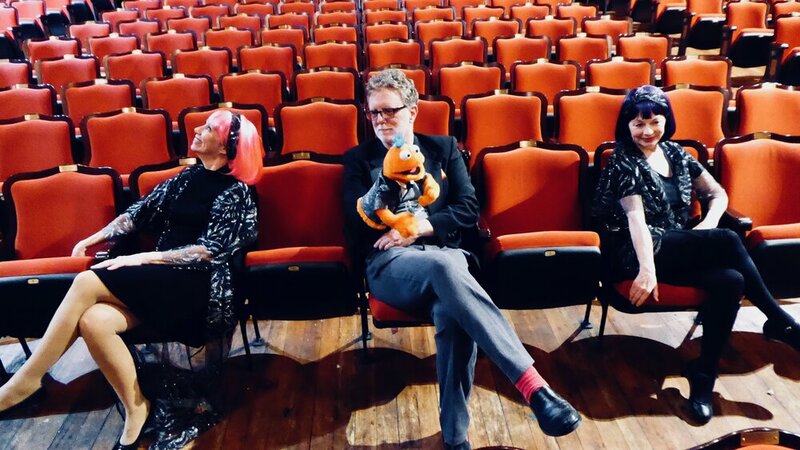 Luckily, he’s helped by his two long-suffering human backup singers: who use tough-ish love to guide him through a musical intervention featuring favorites and deep dives from lounge, pop, Broadway, and beyond. A lounge singer in denial. an alto with a secret. 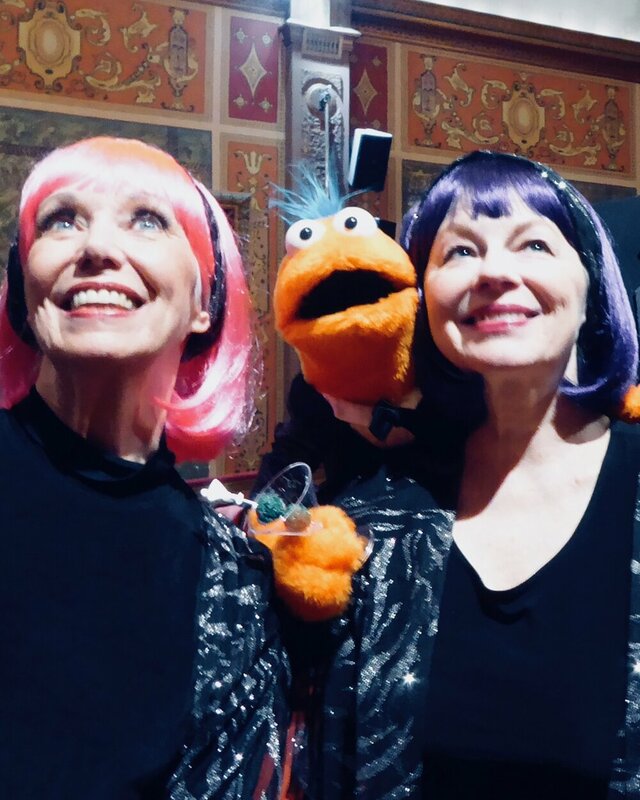 Suzanne and Kathy were two parts of a professional a capella trio. Kathy and Jamie worked together on his long-running series of comedy-variety plays. And they're all excited to bring their Venn diagram of overlapping experience to the Edinburgh Festival Fringe. A Puppet show for grownups. It starts as a cabaret show, takes a sharp left turn into screwball comedy, and ultimately becomes a heartfelt celebration of life and love. Come for the jokes and the singing, stay for the hope and optimism. And learn how to hypnotize a puppet. Because you never know when that will come in handy. Who is that handsome fuzzy rogue?